How to ‘score with girls’ in 1965…. Simon Tiffany’s ‘The Bachelor Chef’ (Arlington Books 1965) is the type of book which would be near impossible to publish today. 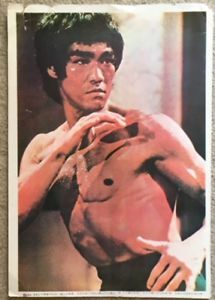 Even for the 1960s, it is an eye-watering ‘guide’ to cooking and more especially on being able to ‘score’ as a result of one’s new-found culinary talents. Illustrated, or, as the credit states, ‘decorated’ by Andrew Vicari, it is a treasure trove of sexist one-liners which, in today’s society, would virtually guarantee a lonely night in front of the television. 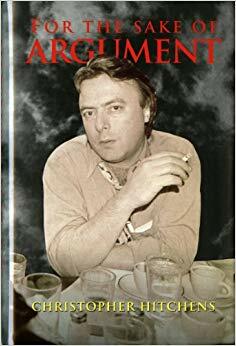 I do not know much about the author but this could help shape one’s assumption of his character: ‘At home we had an old French cook. A peach of a woman as cooks go. Not physically; don’t get the wrong idea. Her generous bosom and wobbly behind were not destined to entice a man to her bed but her cooking assured her a place in his heart’ Thanks for clearing that up Simon! The chapters cover most of what you would have expected to find in any household management books of the day; ‘skills with sauces’, ‘daring with herbs and spices’, ‘sweet talk‘ and naturally, ‘how to score with girls‘. If you (the man) are left to fend for yourself then Simon eases your concerns in his introduction; ‘Women can sometimes be prevailed upon to spend their time usefully, as women ought, in the kitchen but the old adage that you can ‘never trust a woman’ is , alas, all too true’. Feeling better, chaps? So let’s not waste anymore time and dive straight into ‘Dinner Party Lore‘ in chapter one. Simon has the ideal menu for you along with pearls of wisdom as to why his dishes are sure to be winners on the night. Presentation is ‘all important’, a ‘glacé cherry popped on top of a grapefruit half lends a professional chef-like air’, follow this with Veal Cutlets Napoli served with spaghetti and beans. You could swap the cutlets for an escalope but that is better suited for ‘when the old man is coming round to offer good but unwanted advice’ his dish will ensure your Dad goes away ‘paying your golf club subscription and asking your advice on what to give his secretary for Christmas‘. 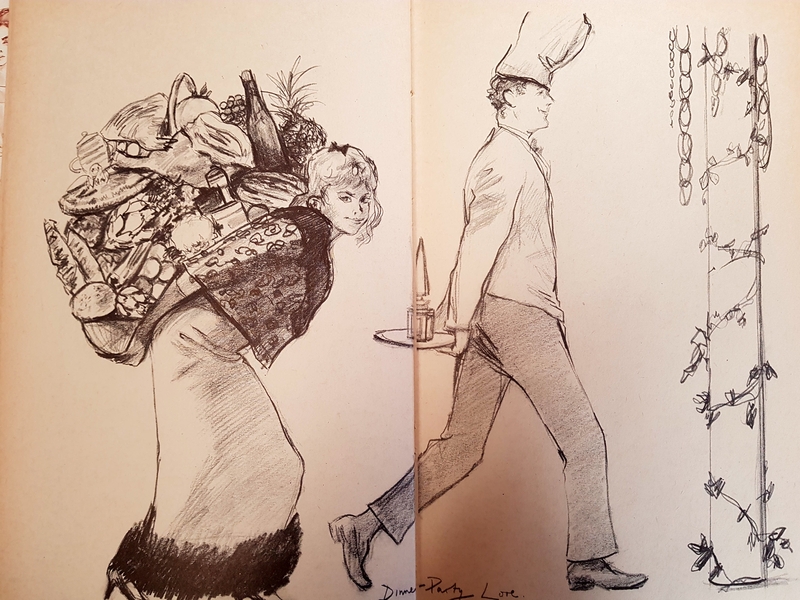 As you can see from the illustration, you need to find a woman to carry your shopping and especially the ‘cheese and crackers‘ which Simon tells you to warm up in the oven. Why not host a cocktail party yourself? Simon reminds you of how many bad ones you have been to, you are hungry and need to eat but you also want to pull, it’s not easy; ‘There’s a cool blonde beauty over there. All around chinless wonders are trying the old ‘haven’t we met before’ line. Two minutes are enough with the blonde to assure you she is as dumb as a mute. You drop her hastily’…Oh Simon! But don’t waste too much time on planning and preparation, ‘make it quick’, ‘TIME IS LIFE in a bachelor world and the biggest crime is to waste it on chores., when one might be out playing golf, going to the movies or whisking your latest dish to a secluded spot in the country’.. The book is full of tempting recipes and actually, overt sexism aside for a moment, they are gloriously nostalgic in their make up with many dishes now, rather sadly in my opinion, left by the wayside but Simon cannot resist putting his ‘twist’ on them; take Potage Don Juan, or Chicken 007, Pears with a Promise, Ladykiller or Lulu Liver from Languedoc-named after another French cook who, Simon recalls, ‘flung up her hands in that charming way that French country girls have, stretching her blouse to bursting point’……literally no words. With thanks to my brother for finding the book. 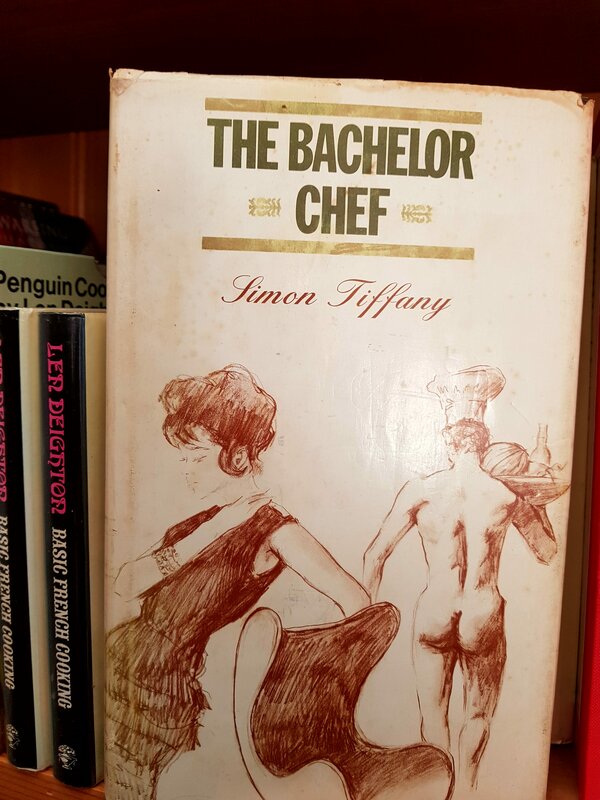 The Bachelor Chef by Simon Tiffany. 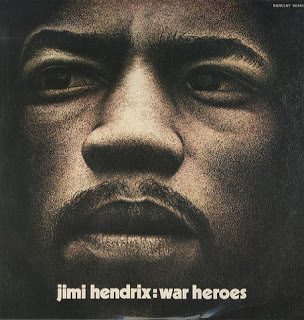 First published by Arlington Books in 1965. This is hilarious, love your commentary. I love finding bizarre old books like this! The thought of stretching that chili by throwing in canned peas or mushrooms made my stomach lurch. Thanks for sharing this blast from a very sexist past! When I got I flicked through and thought the recipes were great in a purely nostalgic sense but when I saw the drawings and then the actual text…!! !It isn’t difficult to form an image of the author is it?!! I will give the chilli and his ‘scoring’ advice a miss for now but draw comfort from knowing that if I hit rock bottom in either regard then help is close at hand! It’s certainly a lot to process, taken all together! Good to know that someone prepared for this for anyone going through similar tough times! I kept thinking of this today and laughing. So glad you shared this. Glad it was taken in the right spirit! I actually made chilli tonight but I gave the tinned soup a miss!